And Soon The Darkness (1970) a horror film written by Terry Nation and Brian Clemens, is unbearably tense in all the right places (and in all the best ways), and is so icily, so glacially precise in the clever application of horror movie techniques, that it deserves some pretty serious admiration. Yet the movie only rarely garners the devotion of horror movie aficionados, perhaps because there are so many other great, landmark horror films of the 1970s. Or perhaps because this production is short on gore and -- even in its wildest moments -- And Soon The Darkness maintains a high-degree of cold-blooded restraint. And Soon The Darkness is a film of the "road-trip gone wrong" variety, but with some unique twists on that sturdy template. Specifically, the film concerns two British nurses, Jane (Pamela Franklin) and Cathy (Michele Dotrice), on vacation, taking a bicycle tour of rural France. Before long, the beautiful young women find themselves on an isolated country road "miles from anywhere." Although this was part of their plan -- to "keep off the main roads...to see the real France" -- Jane and Cathy soon regret their selection of routes. They happen across a wooded patch of lonely road, one where three years earlier a brutal murder occurred "about this time of year." Before long, Cathy and Jane are separated (they have a row about a man), and Jane heads on down the road by herself. She thinks better of it after a while, and returns for her friend. But Cathy...has disappeared. Jane finds only a wrecked bicycle -- and Cathy's under garments -- scattered across the woods. At first, a desperate Jane is in denial ("she's hiding from me...just trying to scare me. "), but before long, she realizes that something sinister has occurred to her friend and riding partner. But Jane is forever a stranger in a strange land. She knows neither the local language nor the local terrain. And Jane clearly doesn't know whom to trust. The local gendarme, who lives in the station house with his senile old father? The lady at the cafe who warns that this is "a bad road" and seems to be locked in a strange feud with a neighbor? The mysterious, sun-glasses-wearing man on the moped who playfully follows Jane and Cathy down the road and claims to be a government investigator? The Gendarme's senile father, who stands in the nearby field -- watching everything like an immobile scarecrow -- and, who, at a critical moment, wields a scythe? For easy shorthand, just think of And Soon The Darkness as The Texas Chain Saw Massacre (1974) set in rural France. Only without the delirium. Some important visual touches distinguish And Soon The Darkness. The first is that the film's harrowing events occur entirely in daylight, so the movie can't rely on the impenetrable blackness of night either to scare you or to successfully obscure what you see. Rather, quite inventively, the filmmakers erect a constant but entirely unspoken tension: Jane is racing against sundown too; not just the locals. Soon night will fall, and then there will be real terror on that lonely country road. Secondly, And Soon The Darkness is set almost entirely outdoors, with only a few forays to interiors (most notably to the gendarme's house; and to the interior of an old RV in a French trailer park...). 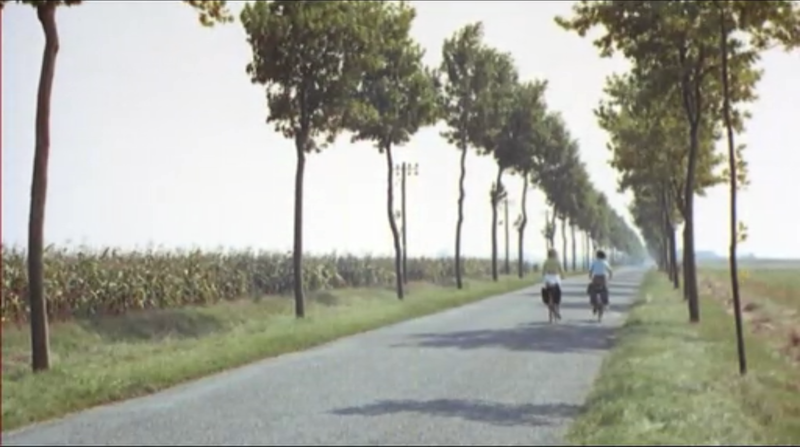 Director Fuest (The Final Programme ) generates considerable suspense by maintaining near-obsessive focus on that damnable country road, which stretches endlessly behind and ahead of the tourists, and which features no safe harbors...only mysterious woods, distant fields, and inscrutable strangers. Before the film is over, Jane navigates this section of road perhaps a dozen times (ever more hysterical as she does so...) yet every turn and every double-back represents a dead end of sorts...and night is still pending. The road, which seemed so wide open at first, soon becomes suffocating in its smallness. Given the focus on the landscape, And Soon The Darkness features many beautiful long shots, which successfully highlight the isolation of the British nurses as they stray into dangerous foreign territory. A number of shots also find the camera perched relatively low to the ground (with the road and the woods taking up a significant percentage of the frame), so that when an "alien" object -- like the front wheel of an unknown vehicle -- looms suddenly into the foreground, it has an ominous, frightening effect. A masterpiece of understated horror -- and one which makes do with very little dialogue -- And Soon The Darkness puts us in Jane's place on that country road of the damned, heightening a powerful sense of identification. Fuest occasionally deploys P.O.V. shots from the bicycle to land us there right beside his imperiled protagonist, but more trenchantly, he utilizes obstacles such as the language barrier to build our frustration and anxiety. 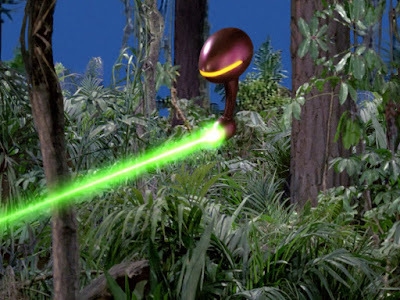 Much of the film's hair-raising third act involves Jane's absolute inability to distinguish friend from foe, as her world grows smaller and smaller. When the climax of And Soon The Darkness arrives, you'll feel as though you've endured an agorophobic's nightmare, because the film so powerfully engenders a fear of wide-open spaces and a fear of foreign travel. The movie triggers palpable terror by depositing our heroine (Jane) and viewers far outside their comfort zones. In And Soon The Darkness, the world is an indecipherable nightmare, we have no allies, and that road is a setting from which there is no easy escape. When the film ends, and the worst fate is avoided, Fuest makes a final, devastating artistic choice. Instead of providing us the darkness we expected in the form of the coming nightfall, he shows us something poetic and unexpected: a brief catharsis. A cleansing rain falls across the road, washing the horror -- the blood -- away. But even there, Fuest isn't done throttling us. A high-angle shot tracks away from a weeping Jane and another bloodied survivor, and we unexpectedly find ourselves looking down through a trailer's transparent sun roof, down upon a corpse. 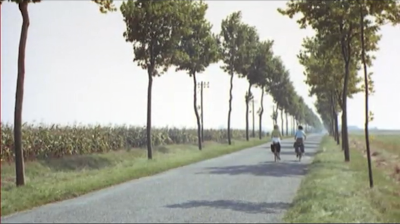 Then, we cut away to that ubiquitous road once more, as two "new" girls ride by on bicycles. Perhaps the horror isn't over after all...perhaps that stretch of rural road is actually a Mobius Strip, a strange, monstrous loop, taking us right back to the point where the terror originated. The curtain falls. And soon the darkness comes. Again.